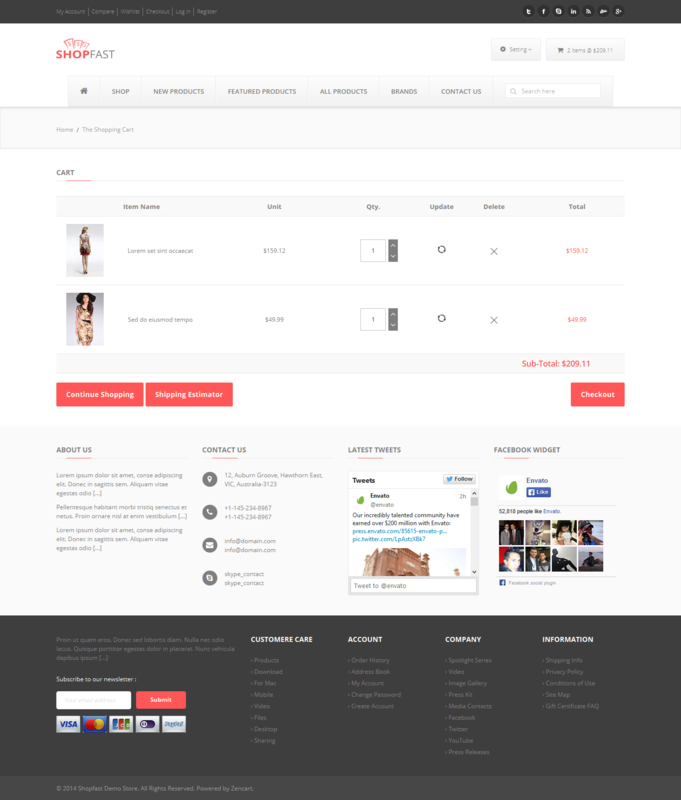 Shopfast is a modern, fully responsive and retina ready Zencart template suitable for any kind of e-commerce shop. Shopfast is user friendly and easily customizable to fit your needs. 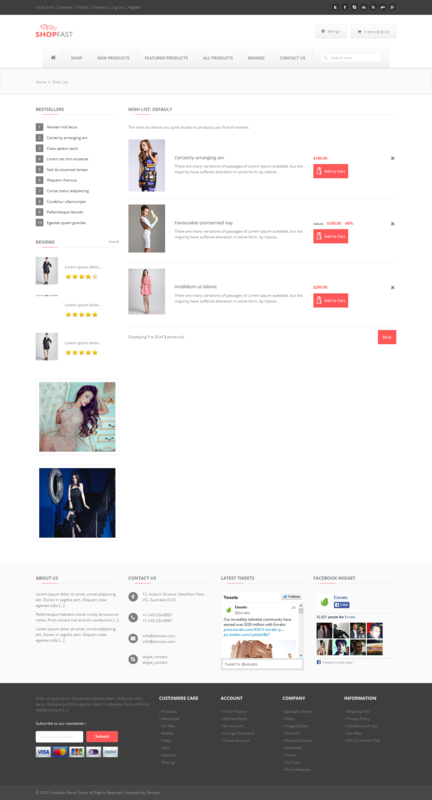 Shopfast is built using latest technologies like HTML5, CSS3, Bootstrap3, latest jQuery and Ultimate SEO URL Ready. 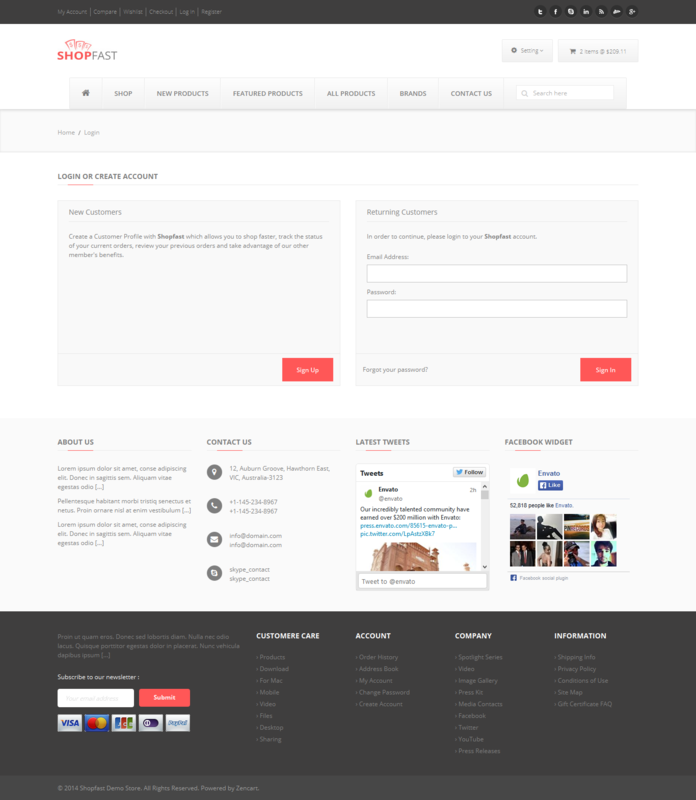 - Updated : Shopfast to Zencart v1.5.3. - Fixed : Minor CSS Bugs. - Fixed : Main menu and Slideshow problem. 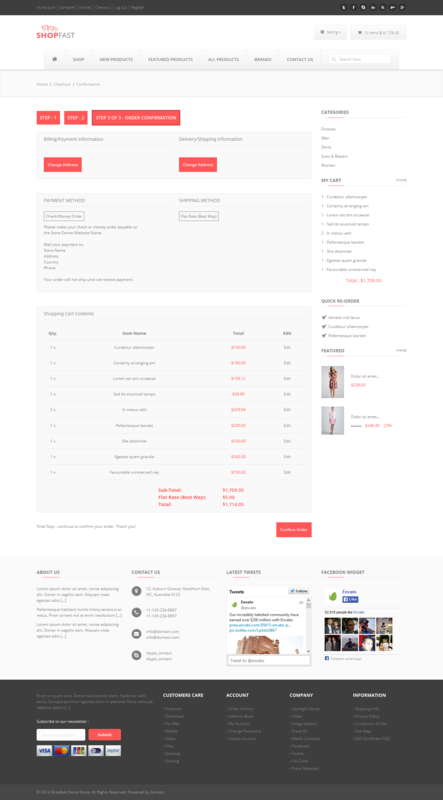 - Fixed : Admin file for the Shopfast theme. - Change : Changed the main slideshow. - Addition : Added the Main slideshow transition styles. 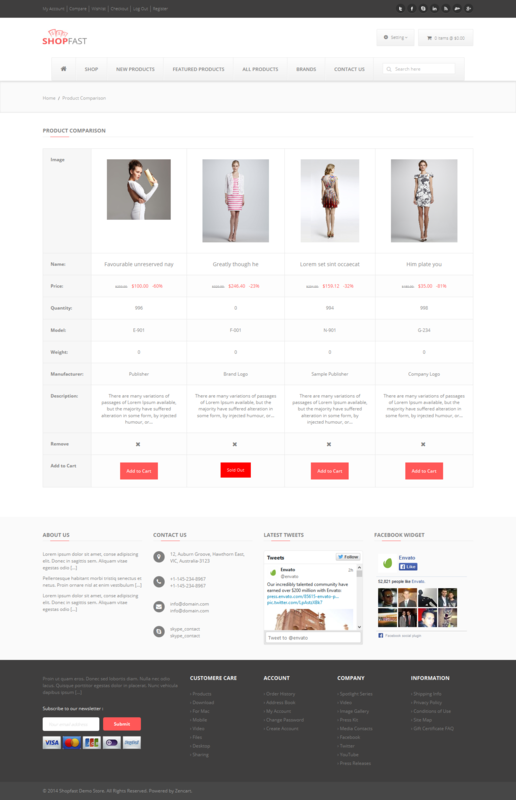 - Fixed : Add to Compare for Categories & Brands Page. 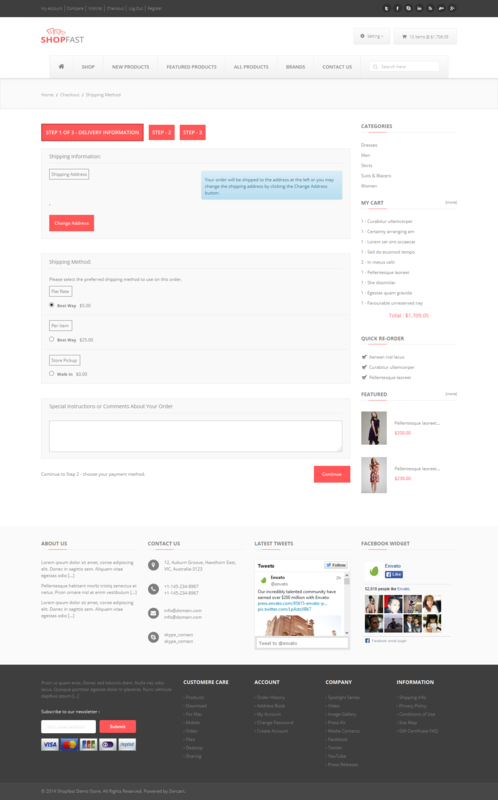 - Fixed : Add to Wishlist for Categories & Brands Page. - Fixed : Ajax Add to Cart for Categories & Brands Page. - Fixed : Add to Cart link redirect in Also Purchased Products Module. - Fixed : CSS of Cart box in Header.